In most Canadian gardens, there is too much clay or sand content, say experts in this field. Both are responsible for a compromised growing environment – and that spells frustration for those of us who work hard to grow flowers, tomatoes, vegetables and fruit. 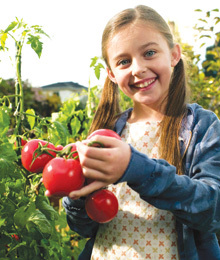 Pell points out that because most Canadian homes sit on clay or sandy soil, creating an improved growing environment became a priority for the Miracle-Gro research and development scientists. He says that years of study and testing has resulted in an innovative new product called Expand ‘n Gro. With just a single application, this soil mix can turn native soils, like clay and sand, into lighter, fluffier, more fertile soil.